When you buy an electric pressure washer, it typically comes with a high-pressure hose. The hose provided with the machine is good enough. But there are many options out there to buy an alternative one. You can buy a comparatively better hose according to your respective needs. The hose is one of the most important attachments of your pressure washer. You cannot imagine any cleaning job without a hose. There are varieties in the pressure washer hose. It basically differs from one to another in respect of its length. You can choose your desired length depending on your small or large projects. If you are planning to buy an additional hose or alter your default hose that arrives with your pressure washer machine, you just need to have a good idea about the available hoses on the competitive market. Let’s see the factors you need to know before you replace your previous hose. At the first place, you need to identify two key factors of the pressure washer hose before you buy it. First, identify what material will make your hose and second, what the length would be to overlay your big surfaces. If you need to clean a large surface where you will need to take your machine far away from the water source, you ought to purchase a hose that has a maximum length to take around. Alternatively, you can purchase a hose shorter in length, if your plan is to cover a small area of a surface. The longer hose might always not suit your needs. You need to be wise here. Remember that a large hose might be a problem to handle when you are operating your pressure washer in a confined and small area. Moreover, a longer one is expensive than a shorter one as usual. So, take an accurate decision. Unlike a gas pressure washer that is easier to move here and there and needs a shorter hose, therefore, an electric washer needs a different hose in length. As you are using an electric pressure washer, so there would be a trouble to move your machine freely to one place to another place. Here, a large pressure washer hose is optimal for your machine. 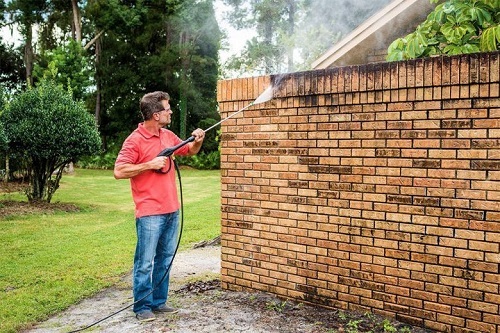 Usually, you can choose your pressure washer hose ranging from 20 feet to 50 feet in length. They cannot put lots of pressure on your machine. Rather, they will give you an outstanding experience. This is very important to identify the diameter of your pressure washer hose. There are wide varieties in diameter aspect. Different manufacturers produce hoses with a different diameter. Before you purchase a hose for your machine, try to make sure that you carefully notice your device that which diameter hose it uses. A hose may not be fit to all the pressure washers. Basically, a maximum of 2700 PSI pressure washer uses .25 inch diameter hose. 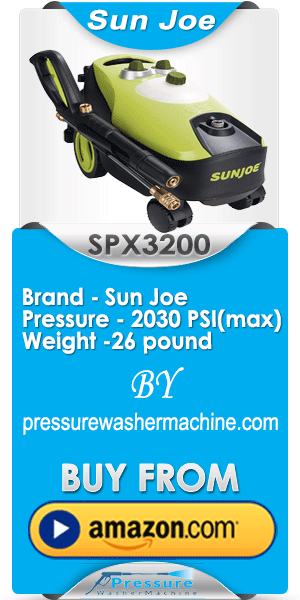 Accordingly, a machine of PSI range from 2700 PSI to 3400 PSI use 5/16 inch diameter hose. The longest and most popularly used washer hose is 3/8 inch. It can maintain a maximum of 5000 PSI water pressure. Now, it is your discretion to decide what diameter you choose depending on your needs. This is a good thing you need to consider when you are going to buy a hose for your electric pressure washer. 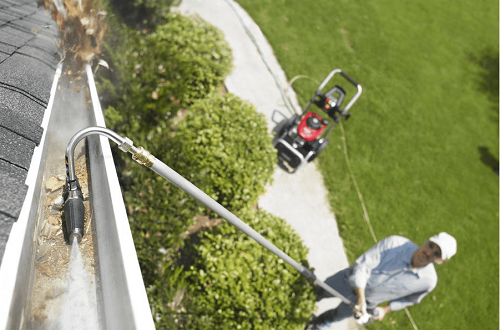 Your pressure washer hose needs to be connected to your device at both ends. One end needs to be connected to the main machine and the other end needs to be connected to the water spray gun. It will require you to investigate the connection type of your device if it has a connection to snap in the place or if it screws into it. There are male or female connectors on the spray gun. Check it if it is a male connector or if it is a female connector. You may feel comfortable using a male type connector. But if you wish you can buy a female connector. Using male or female connector does not make a significant difference in your cleaning performances. Type of material used in the hose is one of the significant things to consider when you are buying a hose for your pressure washer. The manufacturers use a different material to produce the hoses. Most of the hoses used in electric pressure washer are made of either of main three components. They are PVC plastic, rubber, and polyurethane. The PVC plastic hose is stiff and hard than other hoses. As it is solid, it is difficulty bend. It is not as flexible as a rubber hose. So, if you want to bend it more than its normal flexibility, probably there will be a chance of getting a crack on the hose. The rubber hose is somewhat flexible. But it is slightly heavier than a plastic hose. So, it is difficult to move here and there. A special care is needed to handle the hose. Otherwise, it can cause a scuff spot on the wet concrete. The polyurethane hose is also made of plastic, but there is a steel braided coating over the hose. This type of hose is flexible enough. It bends well as you need according to your purposes. There are many pressure washer hose manufacturers competing in the market out there. Different brands produce different hoses. All the hoses are not same in quality. So, it is the most important thing to find the best companies who produce top-quality hoses. Find the best and buy it. You need to pay slightly more if you want best from the market. For your convenience, here are some of the top-quality models. Take them in mind when you will go on a purchase of your pressure washer hose.